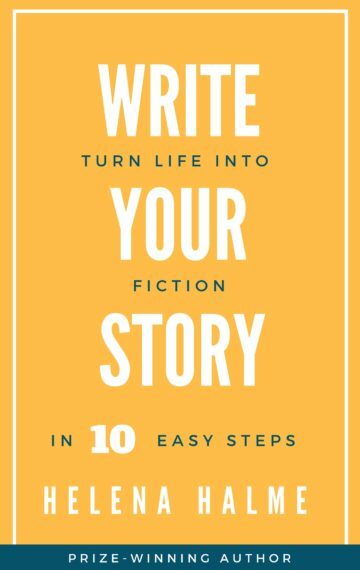 Do you want to write your own life story but don’t know how to turn real events into fiction? Helena Halme is the author of seven fiction titles including her best-selling novel, The English Heart, which is based on the true story of how she met and fell head over heels in love with a Royal Navy Officer at the British Embassy in Helsinki. Former BBC journalist, magazine editor, and bookseller, Helena holds an MA in Creative Writing and is the winner of the John Nurminen prize for best thesis on British politics. As well as writing her own books, Helena now works as a Writing and Marketing Mentor, helping experienced and new authors to write and publish their works. In Write Your Story Helena shows you how easy it is to turn your life into fiction. Short with great points to consider if you think you have a story or more in you waiting to be written. The brevity is actually a strength because I would never read a long book about writing. Within pages of beginning this how-to book, I was actually considering a few ideas for using my life travels in some form to create a novel. Many of the points are made with examples from the author’s own experience. I find her books very readable, so, her tips helped me visualize a similar transformation of certain facets of my life into a story others might want to read. Get this inspirational book and start writing your own life story today!